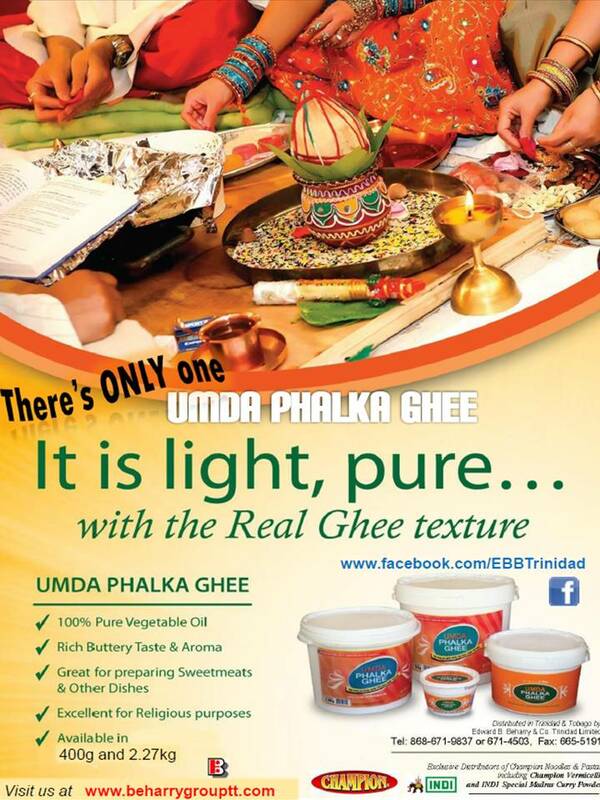 Umda Phalka Ghee is made from 100% Vegetable Oils and is today one of the fastest selling and most popular ghees in the Trinidad & Tobago market. Widely available in all leading supermarkets throughout the country and in numerous shops and puja stores throughout the land. 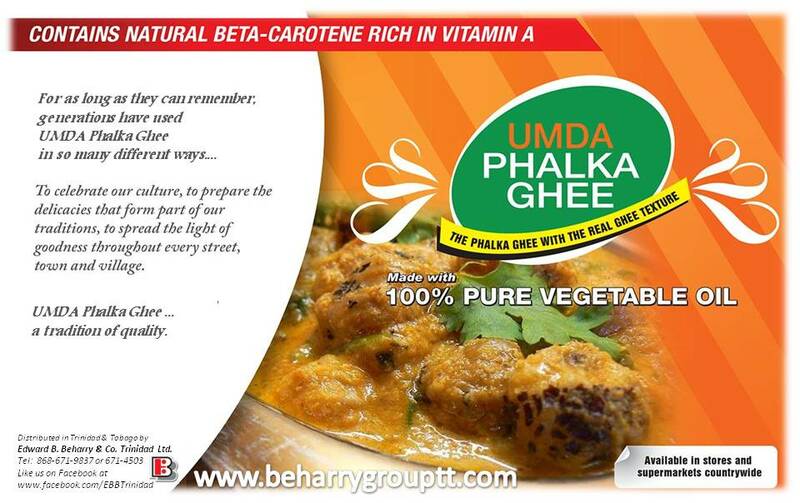 Umda Phalka Ghee is manufactured under ISO certified processes. Umda Phalka Ghee is available in convenient re-sealable and re-useable packaging in 400g and 2.27kg packaging with extraordinary pricing.